Honestly, I'm glad Leo FINALLY got the Oscar but this was not the movie he should have gotten it for. 100 years from now ppl will wonder why the lead actor got an oscar for this role. Annnnyway, yeah you should skip it or fast-forward thru it to the infamous bear scene. Seriously, I can't even really remember what this movie was about. I just remember a bunch of snow and misery. Oh, and a fur coat wearing Leo. 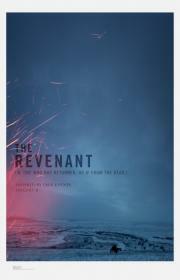 All of my 75 points are for cinematography + the awesome bear scene + DiCaprio's great performance. The movie has almost no philosophy or whatsoever. I mean other than sheer survival instinct and the power of revenge and that it's wrong. Sorry, Inarritu.